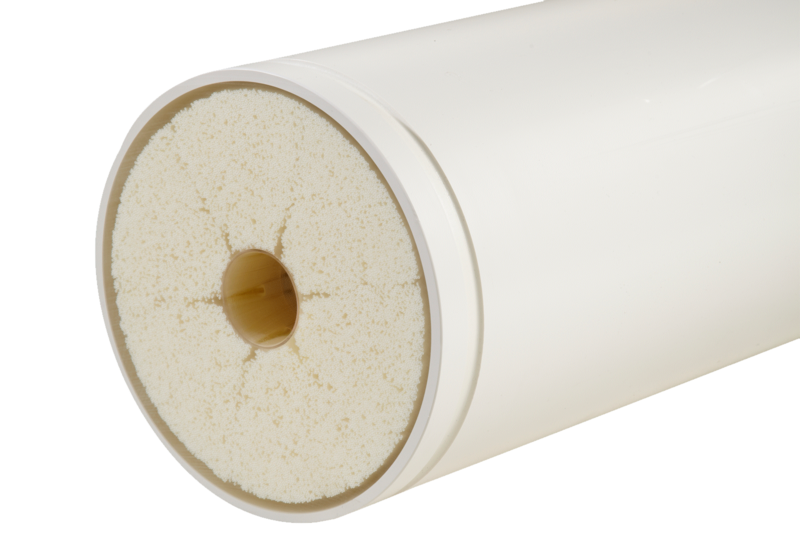 Aquaflex modules are based on hydrophilic hollow-fiber ultrafiltration membranes, composed of a PES/PVP blend. 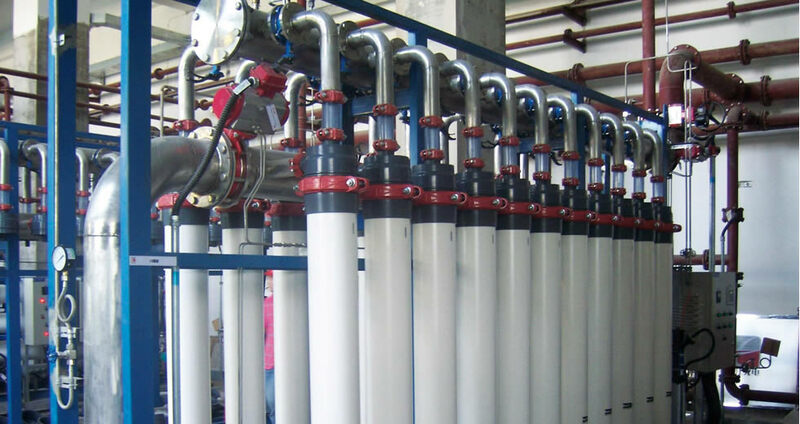 The membranes, which are operated in a dead-end mode, have high mechanical and chemical strength, making them suitable for a wide range of applications. The pressurized membrane modules with inside-out configuration are the industry’s choice for the removal of bacteria, viruses, suspended solids, and colloids. Click here to learn more about these three configurations. The Aquaflex membrane modules provide superior separation performance and effective rejection of viruses and chlorine-resistant organisms such as Cryptosporidium and Giardia. The membrane modules offer an effective barrier to suspended solids and silt. 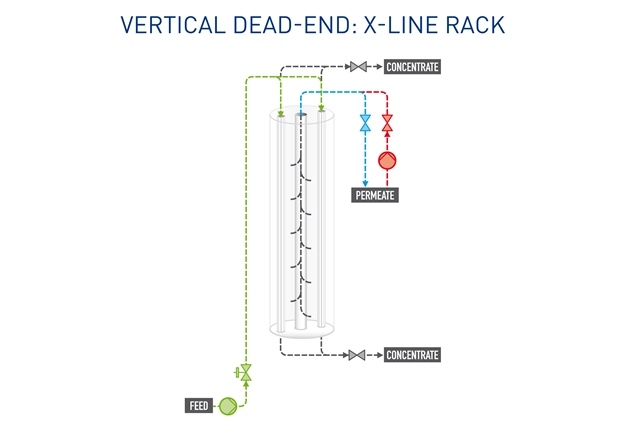 The permeate can be used directly or, if salinity and dissolved solids are not within the required limits, the permeate can be fed to a downstream RO system. The Aquaflex membrane modules are a reliable solution to meeting the highest standards for turbidity and microbiology. 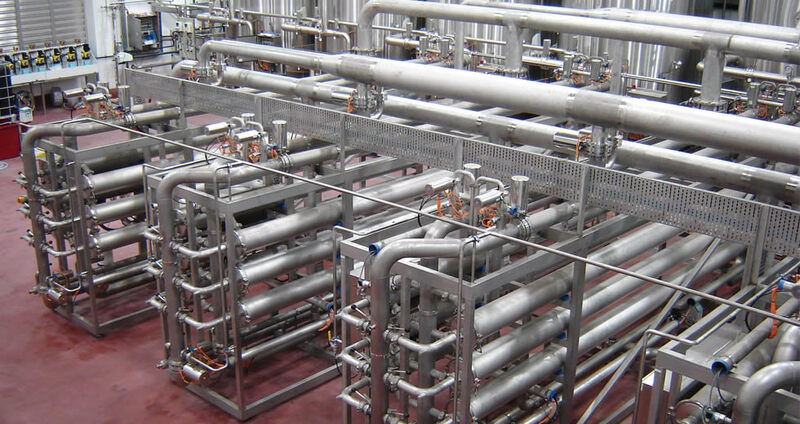 The polished effluent is ready for high- grade and unrestricted reuse applications. Due to their high chlorine stability, the Aquaflex elements are highly suitable to treat chlorinated water from swimming pools. 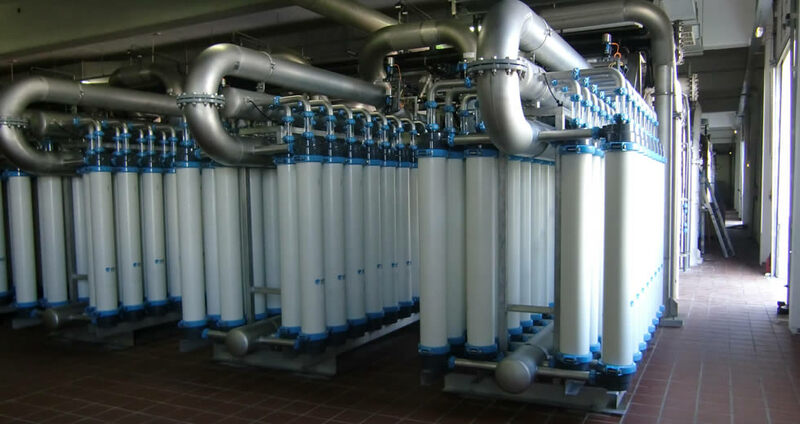 Apart from providing a barrier to suspended solids, the membrane modules also effectively remove microbial particles, so that pool water chlorination can be dramatically reduced. X-line rack: the Aquaflex membrane modules are available in the X-line rack, a highly flexible, pre-engineered UF membrane concept. Replacement: in case you have Aquaflex modules, you can find your replacement alternative on the replacement page.